The key thing to understand is that not all taxes are created equal. I’m currently in the Cayman Islands, which is one of my favorite places since—like Bermuda, Monaco, Vanuatu, Antigua and Barbuda, and a few other lucky places in the world—it has no income tax. 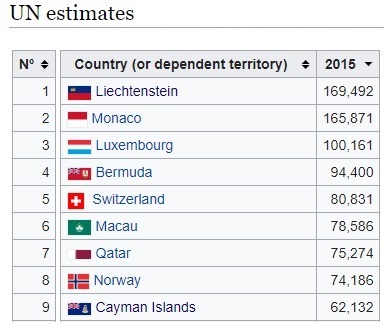 At the risk of stating the obvious, the absence of an income tax has helped make the Cayman Islands very prosperous, 14th-richest in the world according to the latest data from the World Bank on per-capita economic output (top ten in the world if you exclude oil-rich jurisdictions). There is an overly large and excessively compensated government bureaucracy. Indeed, financing the civil service is becoming such a burden that the Cayman Islands almost made a suicidal decision to impose an income tax earlier this decade. 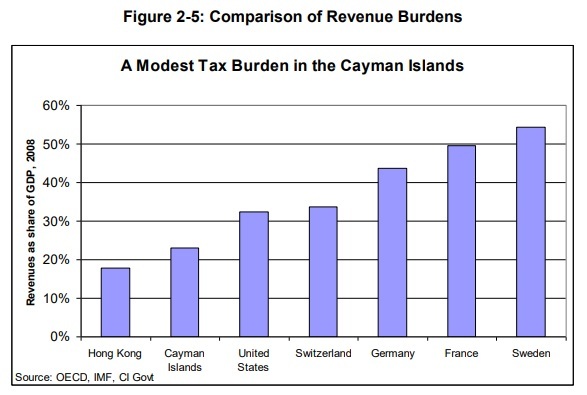 Cayman is prosperous… Critics of Cayman and other offshore financial centers call them “tax havens,” ignoring the fact that they all have many taxes, particularly on consumption—which is good tax policy—rather than on productive labor and capital—which is bad tax policy. The statist political actors in the high-tax jurisdictions will not admit that people do not work, save and invest if they are going to be overly taxed and otherwise abused by their own governments. I'll close by noting that there is some trouble in paradise. 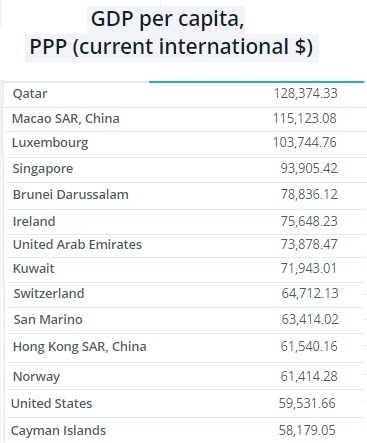 We should emulate rather than prosecute these low-tax jurisdictions. This article is reprinted with permission from Intentional Liberty.